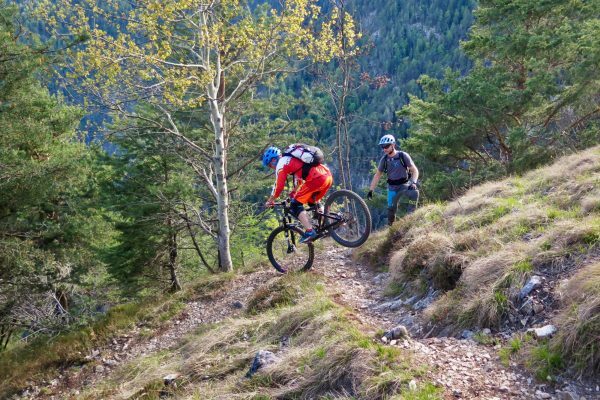 Improving your riding technique can help make riding single track even more fun. The right riding technique lets you get going faster and safer and helps you relax as you tackle tricky passages. We use a thoroughly designed teaching method to teach technique on two levels: BASIC courses for beginners and bikers with limited trail experience and ADVANCED courses for advanced students who want to refine and expand their technique. Technique training can be customized based on your specific needs and schedule.